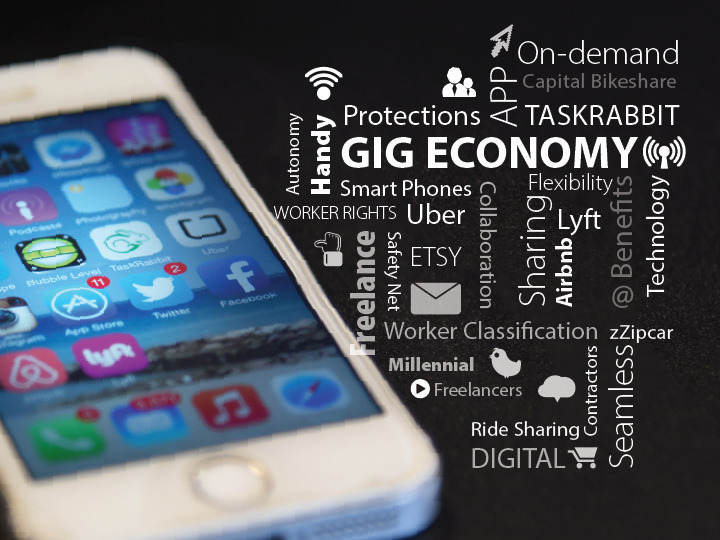 My co-blogger, Matt Heusser, wrote last week about his take on the service and gig economy. His post centered around how people using their own belongings, mostly houses, computers and cars, could make some extra money each month without the trappings of full-time employment. The gig economy creates virtual business ownership. I think the gig economy is a trap, a ghetto. People working these gigs take erratic hours for low wages and don’t even have access to those wages without expensive barriers to entry. Instead of creating more wealth, the service economy creates share-croppers. My personal experience with the service economy is through software testing crowd sourcers. I did a little work with one company several years ago, and more recently I worked a couple of test cycles for another. With the first venture into crowd source work, I wanted to get a taste of short independent work. The more recent try was to explore what newer crowd source companies were doing. I found similar things both times. Hoards of testers competing to report more bugs faster than the others. Testers join these projects with very little background or context. The expectation, from the crowd sourcer and the software company buying the service, is that they find important bugs quickly. The typical result is people reporting a lot of shallow bugs, and a lot of duplicates, before their couple of hours runs out. Even if the testers aren’t getting paid by the bug, there is incentive to report more than anyone else. In my experience, people are rewarded on count rather than quality. If you want to work on these projects to get experience on different products, that’s probably OK. In my opinion the value proposition isn’t very big on either side of the equation. But, for the most part, crowd source companies are straightforward and fair with the testers. Ont the other hand, there are companies that advertise themselves as a middle man for the person that wants to go independent or do freelance work, but doesn’t have the professional network to make the leap. In the best case scenario, freelance brokerages pay slow and hide how much the client is paying and the huge margin they make. In the worst case, they close the accounts of successful freelancers and withhold earned money with no explanation. This is where the service economy ghetto is created. Imagine just starting out as a freelance web developer. You go to a website, signup as an available developer, and a few days later you get an assignment. You have a day job, but you also have a decent computer at home, so you take the gig and work nights and weekends to get it done. You finish the project in a couple of weeks and turn everything over to the client and let the middleman know you’re done. After a month of not seeing any deposits in your PayPal account, you email the accounts person and let them know. They tell you they’ll fix it. Another month passes and you get paid, but it’s $100 short so you start talking with the accounts person again. The project took 10 hours to complete, but you spent another 5 trying to wrangle payment. In the end, the middle man makes a few thousand and delayed payment so that their accounting books look good, and you made a few hundred. Service economy sites are designed to take advantage of ambitious people that want to earn a few dollars at home. What really happens though, is that people end up doing low skill work for low wages. Rather than improving their employ-ability by learning a new programming language, or honing a marketable skill, these freelancers spend their time and resources making just a few dollars. What seems like an easy way to make money with resources you already have is really a trap. If you want to freelance, develop your professional network and develop some basic skills in sales and accounting. You’ll go much further and actually own something. I make an excellent living doing gigs as an IT Consultant on assignments paying from $40 -$120 per hour. Making generalizations based upon your narrow experience in the software field and then making blanket statements about the service economy sites being set up to take advantage of folks just exposes your ignorance. Sales and accounting folks are a dime a dozen, acquire some real technical skills and make some real money. You have been working hard but NOT SMART. Not every service economy website is equal, my friend. Thanks for your thoughts. I make a very good living as a software contractor and writer as well. My cautionary tale for for people considering doing this work through service companies that don't own anything -- crowd sourcing and uber are examples. I disagree on the sales and accounting sentiment. I think those are valuable skills. I have technical skills that keep me working technical gigs from home. Sales and accounting skills are what keep those gigs available to me without having to get scalped by a service-selling website.